But one dish I remember people prepare is baked eggplant, zapekaný baklažán. Eggplant is a relative new comer to Slovak cooking, but it’s quite frequently found in modern recipes. There are several ways of preparing it. In making this recipe, I followed a recipe from mimibazar. 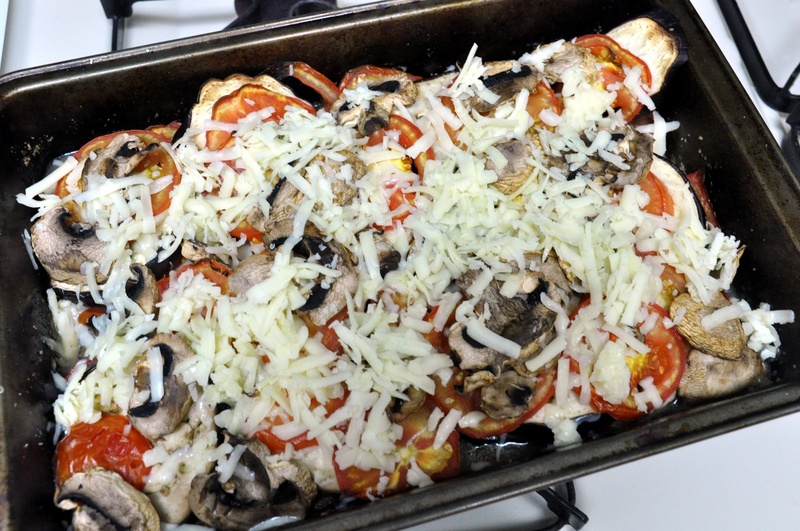 This is an extremely easy and fast recipe. 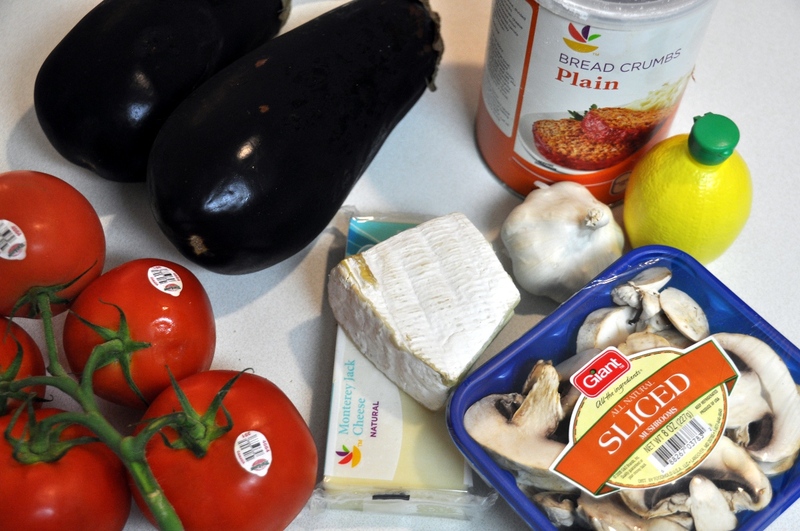 You can get everything ready in about 15 minutes, and have dinner ready an hour later. 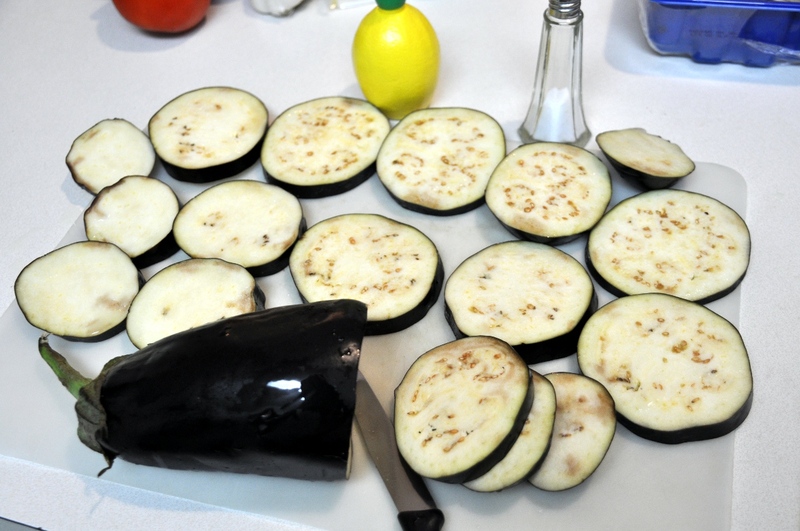 Start by washing the eggplant (baklažán) and slicing it into slices about half inch thick. Sprinkle lemon juice and salt all over. This supposedly helps take some of the bitter taste of eggplant away, however, according to Wikipedia, this is no longer necessary with the modern varieties. Let sit for few minutes. 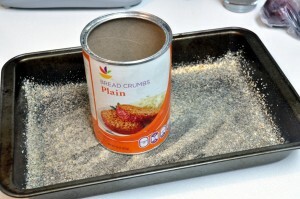 In the meantime, lightly grease a baking pan with oil and cover with bread crumbs. These will help absorb some of the moisture released during baking. 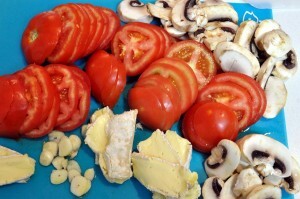 Slice the remaining “vegetables” (zelenina). Preheat your oven to 375F. Place half of the eggplant on bottom, follow by another layer of half the tomatoes, and then all of garlic. Finally add all of the soft cheese. 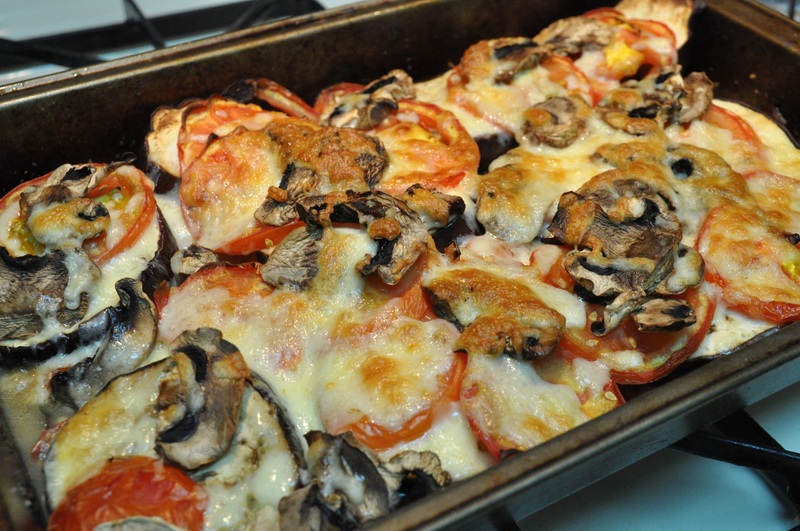 Then make another layer of eggplant, tomatoes, and mushrooms. Stick uncovered in the oven for 45 minutes. 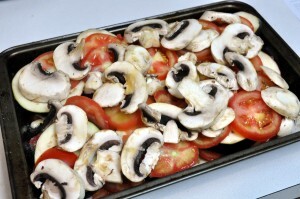 Take out once the vegetables soften. Top with grated cheese (I used Monterey Jack). Stick back in the oven for additional 10 minutes or so until the cheese browns. I increased the oven temperature to 400F for this step. And that’s it. Quite simple. Serve with hrianka. This dish looks very nice, although I am not yet fully sold on the taste. I can’t even remember the last time I’ve eaten an eggplant before this week. It’s definitely quite interesting, especially with the Brie cheese. Bit of an acquired taste, I suppose, perhaps the way some folks don’t like the lettuce soup (it is one of my favorites!). Anyway, give it a try and let me know what you think. Oh this looks delicious, Lubos! I will try it soon. Are you in Slovakia this summer? yes, eggplant may be bit of an acquired taste but I love it! 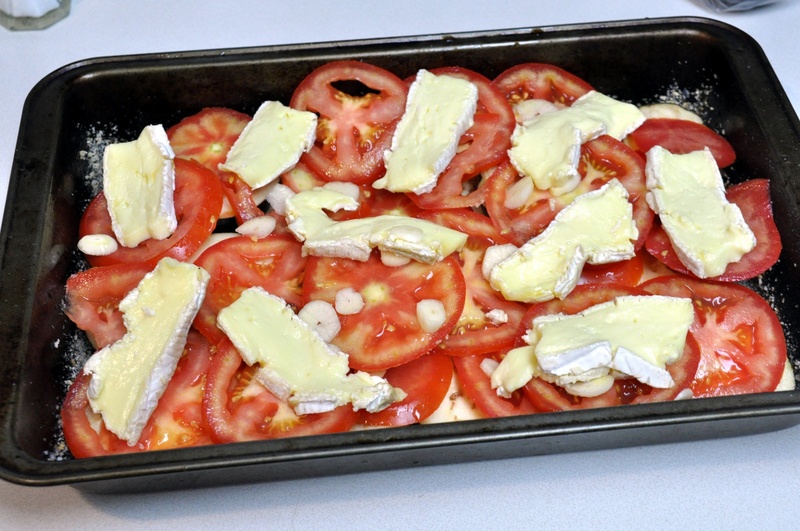 I’ll try it with Brie cheese. 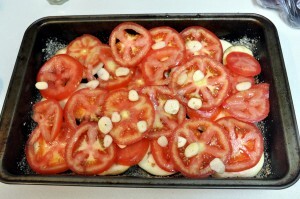 I usually make it with mozzarella and parmesan. I made something similar using a recipe from cook’s illustrated magazine but you prepare the eggplant slices the way you would for fried fish or meat: dipping them in flour,beaten egg, and bread crumbs. Your recipe is much less labor intensive. This tasted really wonderful. I guess my preparation used too much cheese because it overpowered the taste of the other ingredients. Nevertheless my family loved it. Made this dish tonight with a few slight modifications. I used minced garlic instead of fresh and mozzarella cheese instead of brie. I also added a half pound of ground beef (which I will delete next time). Since eggplant is not terribly flavorful, we top it with a dash of hot sauce. It was quite filling and everyone loved it. I will definitely make this dish again.